We are partners with leading global training and technology organizations like VMEdu, ORACLE, NIELIT. We conduct Corporate, Educational Institute and open house workshops and training on various topics including IT and Project Management Courses. Shimuk was established in 1999 at New Delhi (India) to provide Project Management Services including Training and Consultancy to Corporates and Individuals based on PMBOKÃ?Â® and PMIÃ?Â®, USA, and, to provide HR Solutions to Corporates. "Excellent infrastructure. Very friendly atmosphere and very knowledgeable teacher. Have a great experience from here. Best place for learning. " 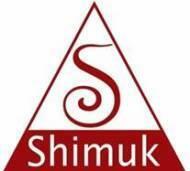 "Shimuk is best Training and consulting organization and staff is very supportive. Best facilities and experienced trainers. " Shimuk Enterprises Pvt. Ltd conducts classes in .Net Training, Big Data and C Language. It is located in Delhi Road, Ghaziabad. It takes Regular Classes- at the Institute. It has got 2 reviews till now with 100% positive feedback.